A fashion model from Brazil asked me to take her to an outdoor rock concert. The concert was something like the Woodstock. I always prefer Mozart to any music, but I got the tickets and took her to the concert. You know that I am a very nice gentleman. There were rock stars from all over the world, and almost 100,000 visitors. It was a big event. 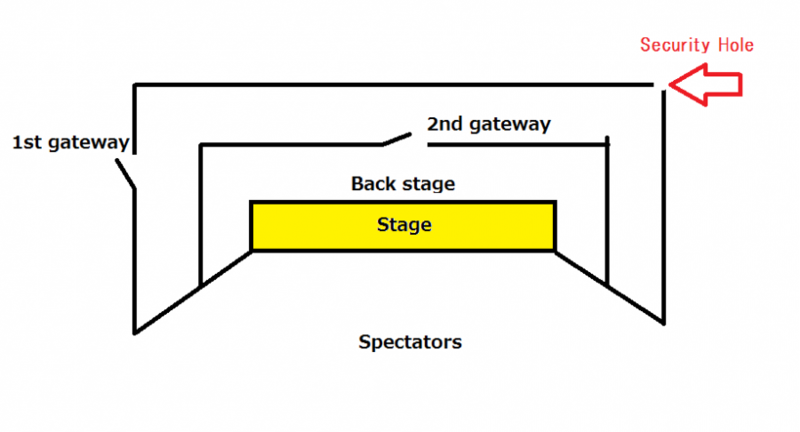 By the way, the back stage was surrounded by two fences and each of them had a gateway with a couple of guards. Without pass card you could not go through the gateways. Now, we found a security hole --- yes, it was a real hole, a small hole under the fence in a bush --- at the corner of the first fence. 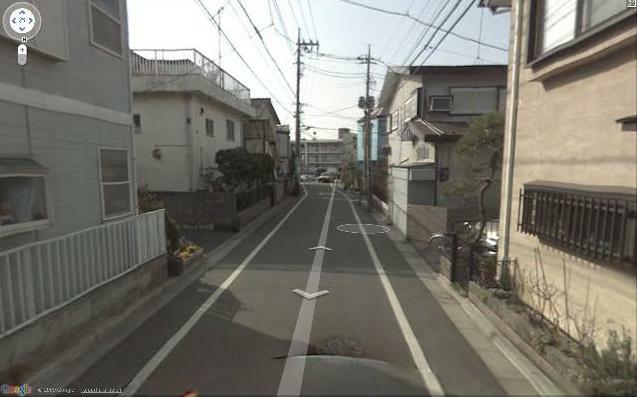 So, we got into the area between the two fences. Then we just headed for the second gateway without the pass. I knew the guards at the gateway wouldn't check the pass, because I knew that they would think that we had already been checked at the first gateway. Hahaha! I was right. They didn't even ask us anything. Here's a security lesson: DO NOT TRUST THE PREVIOUS CHECK. At the backstage, I met a woman with a camouflaged clothes She was very nice and friendly, and told me that she was from the US. Later the Brazilian girl told me that the woman was a very famous rock musician named Patti Smith. A simultaneous interpreter translated "opportunity" into "chance". "Chance" is also an English word! These ladies have been neighbors since 1936. 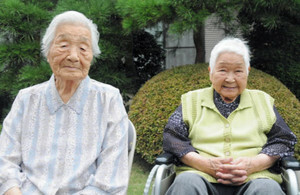 Mrs. Takizawa(left) is 100 years old, and Mrs. Tanaka will be 100 next year. It is the Respect-for-the-Aged Day Holiday today. Put some popcorn in your freezer, and wait a few days. You will notice that the popcorn now smells like freezer. Conclusion : Popcorn is a good deodorant. William has a good friend from Germany. The German friend calls William "Will" in the German way. You know "W" is like /veː/. Now, the German has a Japanese friend who is not able to distinguish V from B sound. So, the Japanese calls him "Bill". But I have no idea why Donald becomes Steve. Every Richard is bad handwriting. Is William bad handwriting,too? Bob is a name. The original form of it is Robert. You know that, don't you. WHY "R" SUDDENLY BECOMES "B" ? Every Robert is bad handwriting. 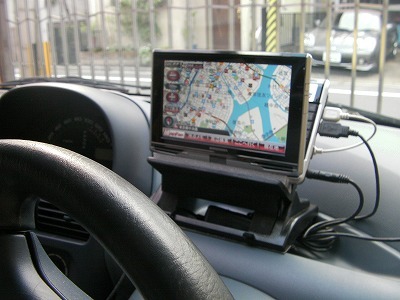 This a small PC in my car. Did you get it? This view is almost the same as the view from my car. This is no use, but fun. I have not read stories for decades. "The Gift of the Magi" made me not to want to read stories. Here's a quote from the book. One dollar and eighty-seven cents. That was all. And sixty cents of it was in pennies. You must have odd number of pennies, right? So, I have lost my interest in fictions. 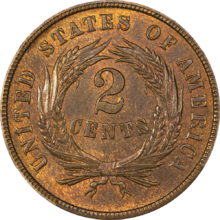 However, I learned that there were 2-cent coins in the 19th century a few years ago. Hahahahaha. 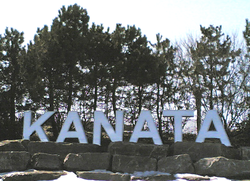 Kanata is a small town in Canada. Kanata sounds like かなた. It means "Far away". Kanata is katana from Japan. "A letter from Canada (Canada kara-no tegami)" was a hit song in the late 1970's in Japan. Two decades later, I made a mail client software named "A letter from Kanata (Kanata kara-no tegami)". It was not a hit, though.